Overview: Dolly Mama is a whimsical line of notepads to carry along in a purse or bag. 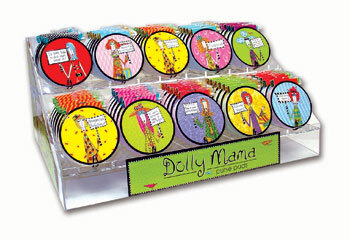 This display provides maximum exposure for this colorful product. A colorful graphic label adds identification and eye appeal.